I thought what better way to start the week than some Blog Candy. 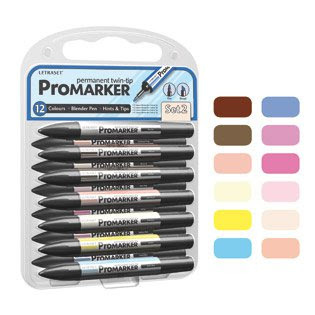 Newly packaged Promarkers by Letraset a set of 12 all of the pretty pastel shades. All you need to do is leave me a comment and then add the Help for Katie Blinkie to facebook, blogs, forums ect.. you'll find the code on my side bar for your blogs. Blog Candy will close Friday February 4th 2011 at midnight GMT so be sure to leave your comment by then. Jak - I am in awe of what this is doing for Katie and Kevin and the boys and that you have done this for them. You have the biggest heart I know. wonderful giveaway! thanks for the chance to win! i've posted the blinkie for Katie on my blog! Thanks for your giveaway, prayers are being said for Katie every single day. But is Jan 4 the correct date? My heart goes out to Katie and her family. Thank you for promoting this great cause. I have added a picture/link to my blog to help spread the word. I have already posted the blinkie for Katie on my blog and I bought the stamps. I am willing to post it again if you would like :) Sweet of you to offer such a nice prize to get the word out for Katie and her family. I am praying for them. Such a heart overflowing with kindness to run the Help for katie campaign. Fab selection of digis, which I have already bought. I am off to post on my sidebar now. I don't have a blog, but will happily add Katie's blinkie to my FB page! Thanks you for all you do!! I hope Katie is doing better prayer to the family. I try to add the badge to my blog, but it seasms it doesn´t work... I'll add the link in my FB. I would love to try these. Hope the campaign for Katie is going well. Have mentioned it before, but will add the badge. Thanks also for popping in by me I feel honoured. Warm wishes. Thanks Jak,for this gorgeous candy! So generous what your doing for them have added link to blog and now to facebook.Thanks for the chance to win hunni! I think you are doing a wonderful thing for Katie, bless you. I have added the link to my blog and when you started I did write about Katie and gave a link to here then but with the blog's the go when we add something else! Have the blinkie in my side bar & Katie in my prayers! Great candy giveaway to raise awareness! Thanks for all your doing for Katie & for the chance of some sweet candy! What a lovely thing you are doing for Katie and thank you so much for a chance to win. This is a wonderful candy! Jak Thank you for the chanceto win this great set of Promarkers. i have added the Help for Katie blinkie to my sidebar. You are such a bighearted woman, and I really hope, that all this will help Katie throug her bad times here. I know, she couldn´+t ever get a better friend, that´s for sure. Thanks soo much for all you always do to help people.You are truely amazing hun. The badge is on my blog. This is such a wonderful thing to be part of, it is lovely to see how people can rally round for the good of another. Have been following Katie's blog. I have had the Help for Katie badge on my blog for some time now and have also given my donations and got all those lovely images for the generous people who donated them. I was on Katie's blog this morning and she is keeping everyone informed on how she is doing. What a lovely lady she is. Thank you for giving me the chance to win these lovely promarkers. I think I was one of the first to order for helping Katie....I became her follower, so I keep informed...I admire her so much!...thanks for offering this great blogcandy....keep my fingers crossed! I posted it on FB. Such an amazing thing to do for Katie. Thanks for the chance to win! Great idea, have already added the 'Help for Katie' badge to my blog. Every little helps. Thankyou for the chance to win the promarkers. What a greta way to help katie by tieing ur blog candy and the help katie blinkie....my thoughts and prayers and with katie and her family! IM PROUD TO BE FOLLOWING UR BLOG AND TO KNOW THERE ARE SO MANY CARING PEOPLE OUT THERE! What a sweet thing for you to do! Great giveaway for Katie! Thanks for the opportunity! I will post it on my sidebar! It's so fantastic to see how much people helps each other in this comunity! I've postet it on my blog, hope I can helpa little bit! Great giveway Jak. I have posted the blinkie on my sidebar. Need to get around to making some cards with this fab set. I've just put a link on my Facebook page Jak, i do hope it helps to get more donations for Katie. That's another fantastic Blog Candy you are giving away to the lucky winner. Your effort to help Katie is a wonderful thing. God Bless You! Such a wonderful support! Thank you so much for all you are doing for one of our own!! This is already added to my blog and am heading to facebook now! Thanks again Jak and prayers to Katie and her family! Love what you are doing to help Katie. What a great gift, I would love the chance to give these a try. Hugs going out for you Jak, and prayers for Katie. I've had the blinkie up and bought the stamps already! What a wonderful thing you're all doing for Katie & her family. If well wishes could cure her it would be a slam dunk. Thanks for letting us help out. Wonderful thing to do. I've added the link to my facebook. Wonderful thing to do. Have posted on my side bar, compiling a post also on the fundraising - just finishing my card with an image from the amazing package. Gorgeous candy Jac,I have put this link on my side bar. MORE than happy to add the badge to my side bar. Fingers, toes and eyes crossed for Katie! Hi Jak, I've posted about Katie on my blog, I'm making a card with one of the images and I think what you're doing is amazing! Thanks for giving us the opportunity to help out by linking to your blog. Hugs to you. Hugs to you and prayers still going out to Katie. I made her a card and will get it in the mail today. I am enjoying the digis I purchased through Help For Katie. Lovin the circle of friends in the crafting world. Remarkable caring ladies. I'm happy to find your blog. 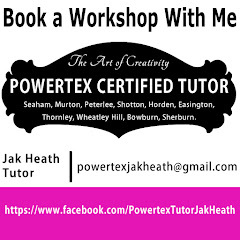 Have just started to colour with Promaker. Thank you for your inspirational blog. 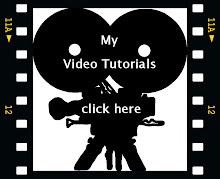 I have add your badge on my blog and will try to put it on Facebook too. Wish you a nice day. It's very sweet you are doing this - you have a big heart! I added the Help for Katie blinkie to the sidebar (top) of my blog. Such a great cause! My prayers are with Katie and the family! I have donated my £15 when you first requested help for Katie. Fantastic Blog Candy! I would love to be lucky enough to win some promarkers. Sending lots of love and healing vibes to Katie and her family. Will keep them in my prayers.